Building a business? Your product or service will only be as good as the people you bring onboard. Yes, building a 'Super Team' of sorts for your business will be difficult. Fortunately, however, it's not an impossible task. A key part of becoming a successful entrepreneur is the realization that you can’t do it alone. No matter how skilled or knowledgeable you might be, building a startup requires a lot of work. You might be an expert programmer, but maybe you lack marketing knowledge to sell your product to the right customers. Maybe you need additional insight as you develop your product. Or perhaps you simply need someone to handle the nitty gritty details of running a business. Of course, you’ll only get as far as your team will take you. In order to achieve your goals, you’ll need to cultivate a tight-knight, high-performance team, a group of people who are passionate about what they do and find purpose in their work to achieve amazing results. While the success of any team is partially dependent on the people you choose to hire, your example and influence will ultimately play a huge role in your team’s success. Here are five ways you’ll be able to bring together a team that exceeds expectations and delivers the level of performance you need. If your team doesn’t feel like they can communicate openly and honestly, you’ll never get close to accomplishing your goals. Honesty and transparency are essential for building trust within your team. When team members feel like they can’t communicate with each other — or their boss — it becomes harder for problems to be solved. Mistakes are made, and quite often, tensions arise. That trust and connectivity starts by fostering honest, open communications. Create an environment where people feel safe sharing their opinions. Respond respectfully during disagreements, and everyone will be more inclined to work together to find the best solution. Each person on your team is unique, with different experiences and skill sets that allow them to contribute to your growing company in different ways. Do you recognize these differences and give each team member an opportunity to use their skills? High-performance teams don’t just get along well — they also hold each person accountable for contributing to the company’s success. As the one in charge, accountability starts with you. Do you take steps to manage your time wisely, or do you find yourself slacking off in front of your team? For better or worse, your employees will follow your example when it comes to personal accountability for their own responsibilities. Naturally, creating a culture of accountability means setting deadlines and goals. Collective results require everyone’s best efforts. Clearly communicate these expectations and follow up on them in a positive, motivating manner. When everyone is fully aware of what is expected of them, it becomes that much easier to stay on task. Nobody wants to work in an environment where they don’t feel appreciated. High-performance teams seek to uplift and motivate each other so that everyone can achieve success. As your team’s “coach”, you should take the time to understand each individual’s personal goals, as well as the challenges they face so you can also provide this motivation. This is especially important if a team member’s performance isn’t on par with the rest of the group. Rather than publicly shaming them for their work, a private discussion could help you gain better insight into what is going on. 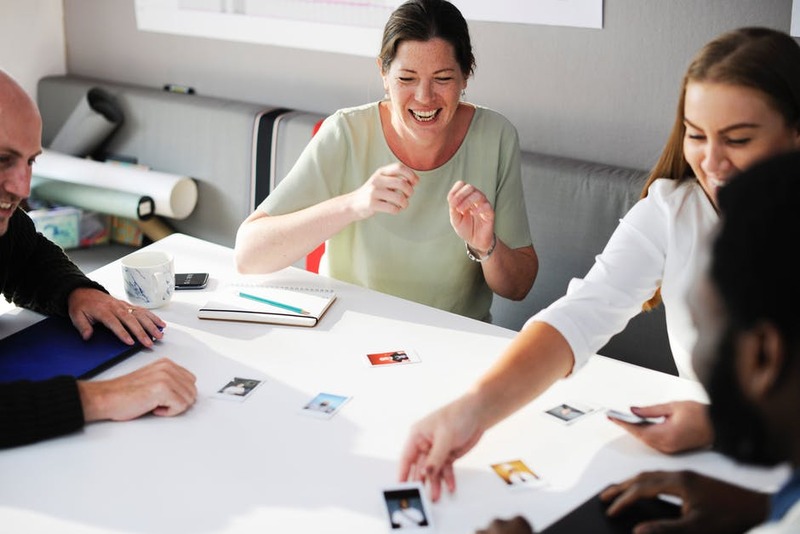 Positive motivating and coaching can turn a less-experienced employee into one of the most productive members of your team and further improve engagement and loyalty. Ultimately, much of your ability to create a highly motivated, tight-knit team comes down to communicating a unique vision that others will buy into. A clear vision serves as the cornerstone of your work — the thing that motivates you and the rest of your employees to push through any challenges you might face. Your vision will shape your culture and goals — and as you build a team of like-minded individuals who believe in your company’s vision, you’ll soon develop a tight-knit team that always gives their best effort. Make your unique vision a central part of everything you do, and you’ll have no trouble attracting and retaining the right people for your team. Even the most brilliant of ideas won’t succeed without the right people to bring them to life. As you use these principles in the workplace, you’ll give your team the tools and motivation they need to come together and deliver their best effort. By maximizing everyone’s performance in a positive, supportive way, you’ll be well on your way to accomplishing your entrepreneurial dreams.